When you’re facing a challenge with your rowing equipment, performance, or team, a one-on-one consultation can be worth its weight in gold. 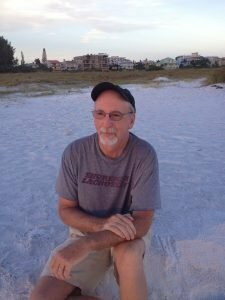 I’m Mike Davenport, and I’m a rowing expert who has been speaking about rigging, rowing equipment, and coaching for over 40 years. I’ve taught students at every level, from collegiate to Olympic, and I know how to communicate straightforward advice, skills, and techniques to rowers, coaches, and self-taught individuals. Whether you’re looking for a quick, one-off consult on improving your technique, a breakthrough strategy session to boost your speed or racing performance, or you’re facing a coaching challenge with your team, I’m here to provide the expert help you need. … and more. You tell me the challenge you’re facing, and I’ll provide the rowing expertise and solutions to help you move forward. To book a consultation with me, just click one of the buttons below. I’ll be in touch via email within 24 hours to schedule our first session. We’ll connect in the way that works best for you, whether it be phone, email, or Skype. Most situations can be resolved via phone or Skype in just two sessions – the first to discuss the challenge you’re facing and the solution to resolve it, and the second after applying the solution, so you can report back to me and get extra feedback. You may want two or three sessions to work through a particularly challenging issue, and if that’s the case, we’ll determine how many sessions you might need in our first consult. Email consults are a little different. We may need just one solid session to resolve your problem, or a few back-and-forth emails to get to the root of the problem and sweep it away. Either way, in our first session we’ll identify the true challenge you’re facing. We’ll also determine the resources you have and how best to use them so you can move forward into clear waters. Together, we’ll find solutions that work fast – and that work for you. If you’d like to discuss a consult or have questions about how we can work together to improve your situation quickly, just get in touch . I look forward to hearing from you. Ready to book a consultation with me? Just click the button below. I’ll be in touch via email within 24 hours to schedule our first session.